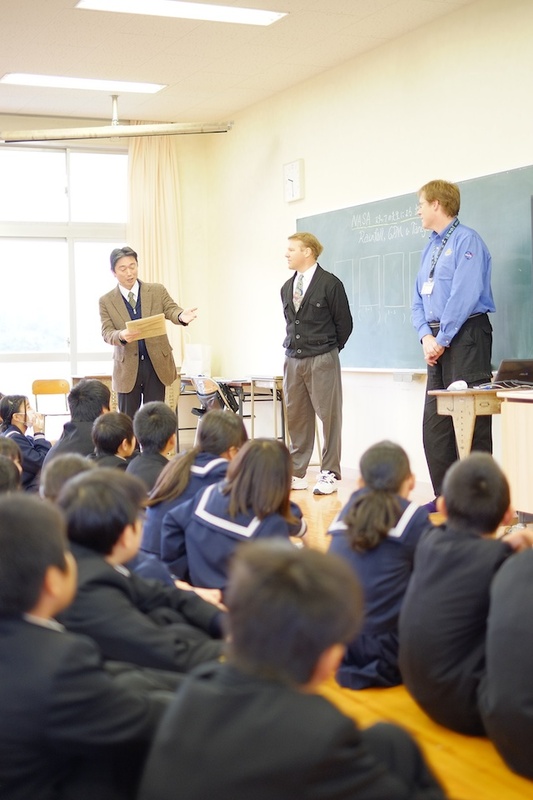 While we were in Tanegashima, the NASA team caused a bit of buzz, and a few people were invited to give presentations about space and the GPM satellite at some of the local schools. I was graciously invited to tag along. During our two visits I learned a few things. 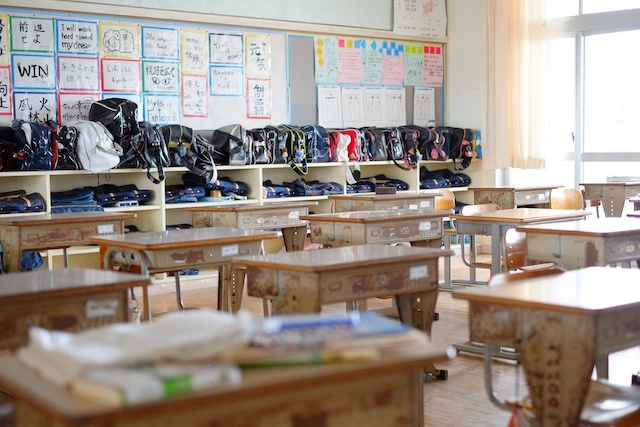 Firstly, the shoes rule applies to schools as well as homes. Indoor shoes indoors, outdoor shoes outdoors. 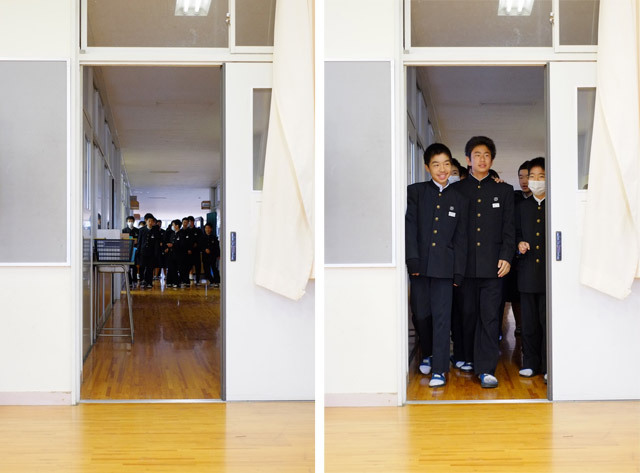 Also the schools are neither air conditioned nor heated, and the kids wear shorts and skirts. 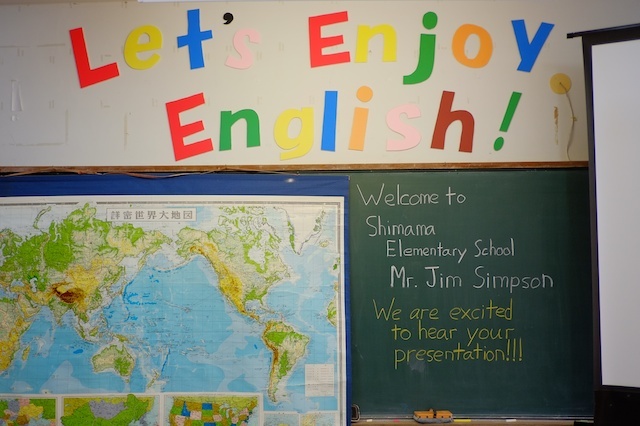 Kids start learning english in elementary school. They sit on the floor, and the little kids are very well behaved. Tanegashima is isolated enough that we were probably some of the first Americans most of them had ever seen in person. 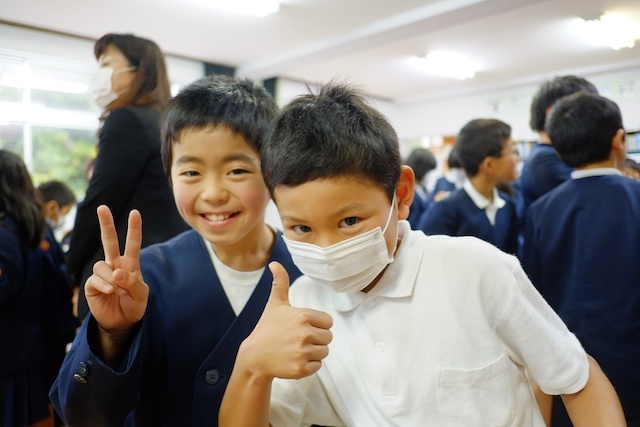 I learned from one of the JET teachers at this school that these kids have to eat everything they’re given everyday at lunch, and they have to help clean up the dishes. I like that. I think the uniforms help with that “we’re in this together” mentality. That garden is planted and tended by the kids at this school. Nice work huh? The backpacks! So cute but so expensive. I saw a few of these up close in a store, and they can run $400 or more, and are often made of full leather with metal framing. Serious luggage. Noodle intermission. This is a long post. 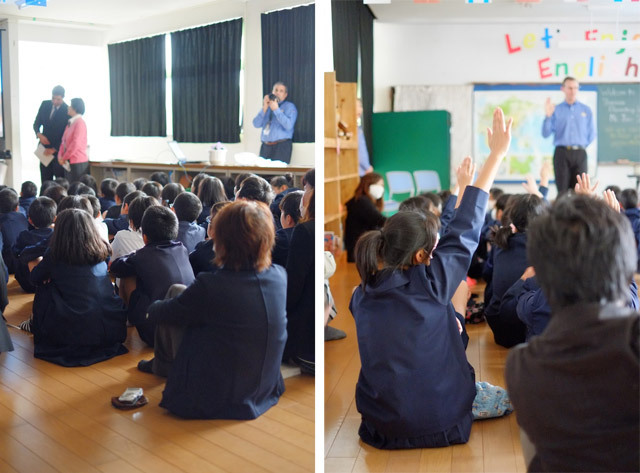 A few days after we visited the elementary school, we got to go to the local Jr. High school which was beautiful and far too large for the number of students that attended. Tweenager uniforms look a liiiiitle different. 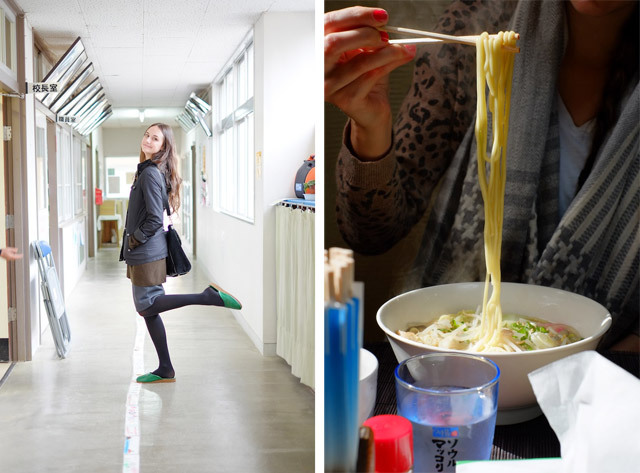 Tweens in Japan are just like tweens in America, a little rowdy, but generally good. And this character, kept winking at me and waving to me before and after the first of the two presentations we did that day. Harbinger of events to come. 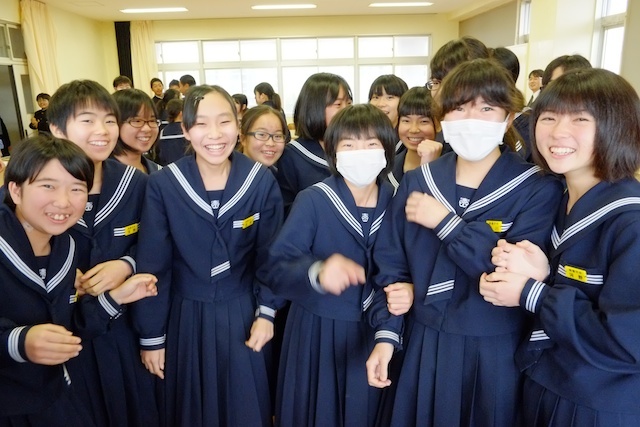 After the second presentation, I was quickly surrounded by tween girls. 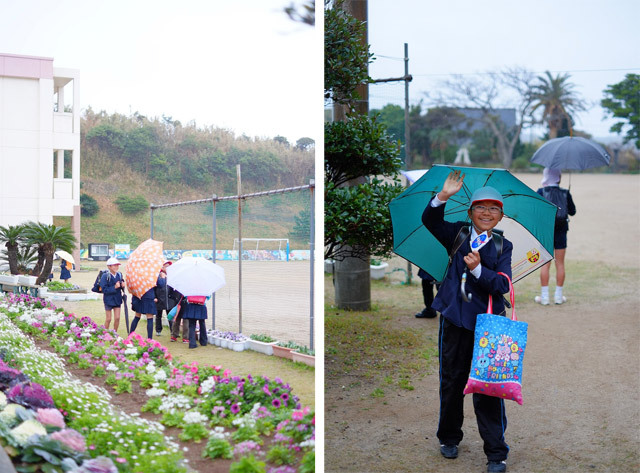 It was the cutest and weirdest experience of all my time in Tanegashima. Luckily I was holding the camera when it started. But handed it off to Cody just in time to capture the rest. They wanted to shake my hand? I am an object of curiosity? This cutie was the leader of the pack. She came up to me and asked, in English, “do you like chocolate?” and it turned out we had that most important thing in common. 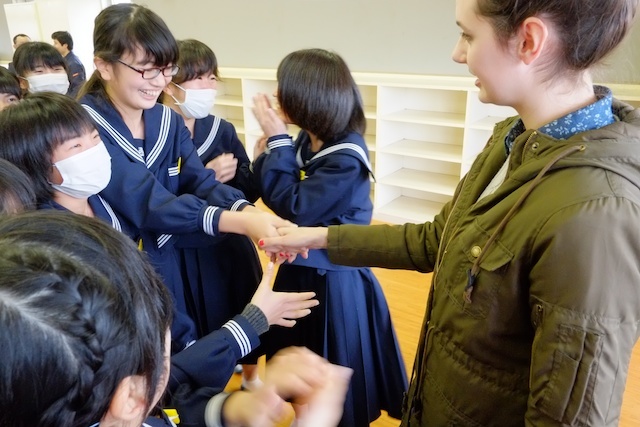 I’m sure the language barrier gives them an advantage, but I was pretty charmed by these kids. Hahaha you are so cute! I love the pic of you looking at the camera and the girls in a crowd giggling. Too funny. 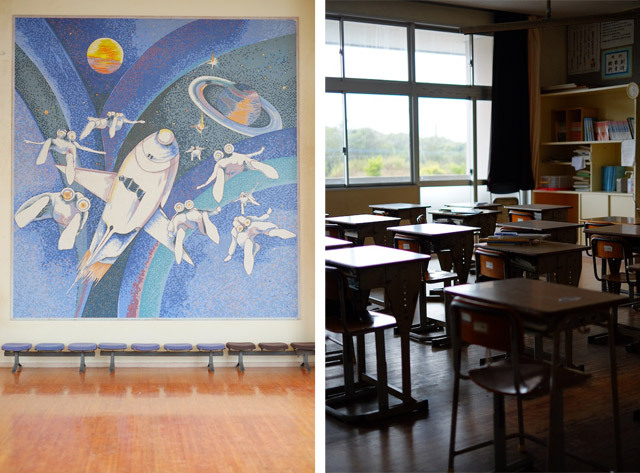 So what do you think…would you want your kids attending Japanese schools? They sound pretty awesome! So cute! I love the uniforms! 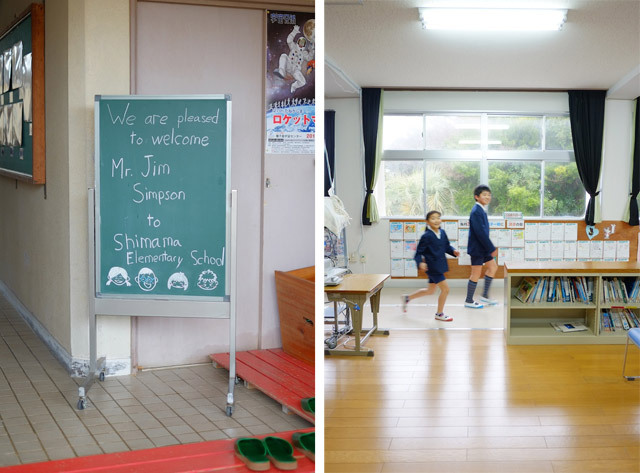 Wouldn't it be fun to teach English there? Mir, I think I'd like having my kids in Japanese schools, but I don't know if they'd like it. 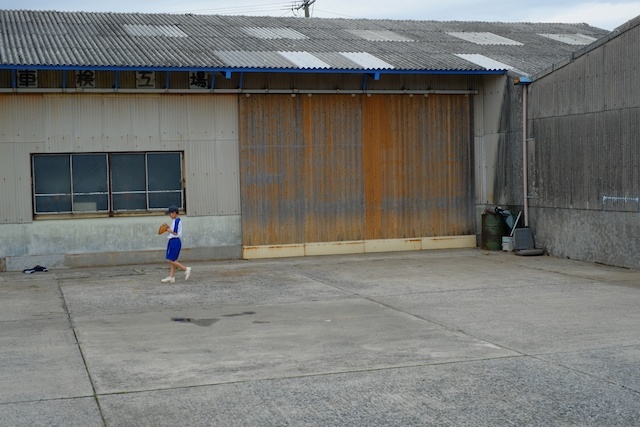 It'd be hard to be a foreign-looking student, especially in Tanegashima. And Ma, teaching English would be so fun! The American teachers I talked to LOVED it. I love this! I wonder what children like that are thinking when they meet foreigners!